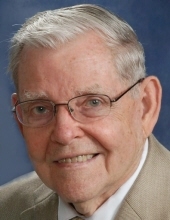 ZUKAS, PAUL J. of Norwood formerly of Cambridge passed away on March 21, 2019 at the age of 89. Beloved husband of the late Louise B. (Grazulis) Zukas. Devoted father of Rev. Stephen Paul Zukas of Medfield, Barbara M. Richardson and her husband Sean of Norwood and Peter J. Zukas and his wife Donna of Bellingham. Loving brother of Helen Sliski of Lexington, Anna Zukas of Cambridge, Dorothy Carter of NC and the late Joseph Zukas, Vincent Zukas, Martha Miceli and John Zukas. Cherished grandfather of Brian Richardson. Son of the late Charles and Domicele (Kuncevich) Zukas. Paul was born in Cambridge, MA and attended Northeastern University and Lincoln Institute class of 1959. He was past president and member of the Knights of Lithuania council #27 in Norwood. He was also past president of the Crusaders of Fatima in Brighton, Past Grand Knight and Grand Knight of the Year 1983 of the Norwood KofC council #252, volunteer at Norwood Hospital and active member of the Norwood Senior Center. Paul was a retired Draftsman at Raytheon working there for 5 years, Polaroid Corp working there for 19 years and also worked at MIT and Lincoln Lab. He was a US Navy Korean War Veteran. Funeral from the Kraw-Kornack Funeral Home 1248 Washington St. Norwood, Tuesday March 26, 2019 at 9am followed by a funeral mass at 10am at St. Timothy’s Church Norwood, MA. Visiting hours will be held on Monday, March 25, 2019 from 4-8pm. Immediately following the funeral mass the family would like to invite everyone to attend a breakfast downstairs at the church hall. A graveside service will be held after the breakfast, 1:30pm Tuesday Afternoon at the Knollwood Memorial Park 319 High St. Canton, MA. In lieu of flowers donations may be made in his name to St. Timothy Parish 650 Nichols St. Norwood, MA. To plant a tree in memory of Paul J. Zukas, please visit our Tribute Store. "Email Address" would like to share the life celebration of Paul J. Zukas. Click on the "link" to go to share a favorite memory or leave a condolence message for the family.